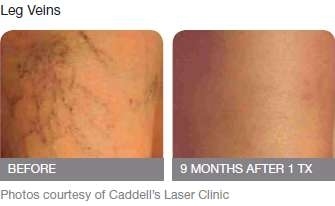 Facial and leg veins are now a thing of the past. 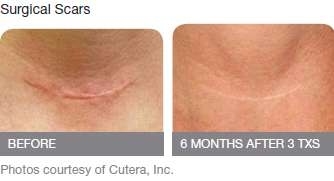 A safe and effective treatment for vascular and benign pigmented lesions. 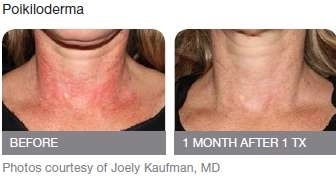 Excel V has been shown effective at treating a number of conditions, including rosacea, spider veins, leg veins, port wine stains, cherry agiomas and benign pigmented lesions such as sun spots. Excel V treats mild and severe forms of these conditions. The system may also have a cosmetic benefit for patients who have skin lesions or scars from past injuries or surgeries. Who Can get Excel V Treatment? All skin types from 1 to 6. It works so well, Recently It become very popular in Asia especially Korea. After an initial consultation, your physician will determine if treatment with the Excel V is appropriate. Unlike other procedures, injections or topical anesthesia are not required throughout the duration of the 15 – 30 minute procedure. Depending on the condition, the physician passes the Excel V hand piece over the affected areas of the skin until the abnormal vessels diminish. To minimize discomfort and protect the patient’s skin, the Excel V uses a proprietary cooling mechanism. The number of treatments depends on various parameters, including the size, thickness and color of the vascular lesion. 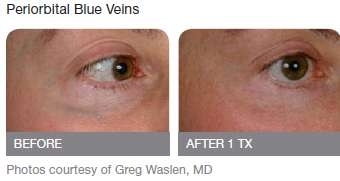 Superficial vascular lesions are usually easiest to treat; some patients might see significant improvement after just one treatment. Since individual results vary, ask your medical professional about your specific condition. Most patients experience a stinging sensation as the pulses of energy are delivered through the hand piece. Although no local anesthesia or pain medication is typically required, some patients opt to use a topical anesthetic prior to treatment. Following the treatment, the pain is minimal to nonexistent. Excel V costs vary depending on the size of the area and the condition being treated. Talk with your practitioner to learn more about treatment fees.